The Kindle app for Windows Phone is a good, stable eBook reader but has a lot of room to grow. It has some key features missing, most notably the ability to read periodicals, which distracts from what should be a good experience. Also the in-app purchase system is clunky and hard to navigate. Still, as a reader, it is very good and customizable to make it a comfortable experience for any reader. While eReader apps have come and gone – along with their services – the one constant that has remained is Amazon’s Kindle. The Kindle app has been available for Windows Phone for some time now and its performance and stability has certainly improved over time. The biggest challenge with the app remains feature parity when compared to the iOS or Android version of the app. It is an area that Amazon could and should improve this app for Windows Phone users (and for Windows as well I might add) to get the full benefit of all the features available from Amazon on the platform. along with a link to see your archived items (books not downloaded to your phone). Downloading of books is done via the Amazon Whispersync service which will synchronize your further rest position, bookmarks and notes between all of your Kindle devices and apps. This part of the app works brilliantly and makes transitioning from a Kindle device from my Windows Phone to my Windows Tablet easy and without me having to find my place again or bookmark. When reading on the Kindle app it is easy to do and should be familiar to anyone who has used an eReader app or a Kindle before using this app. 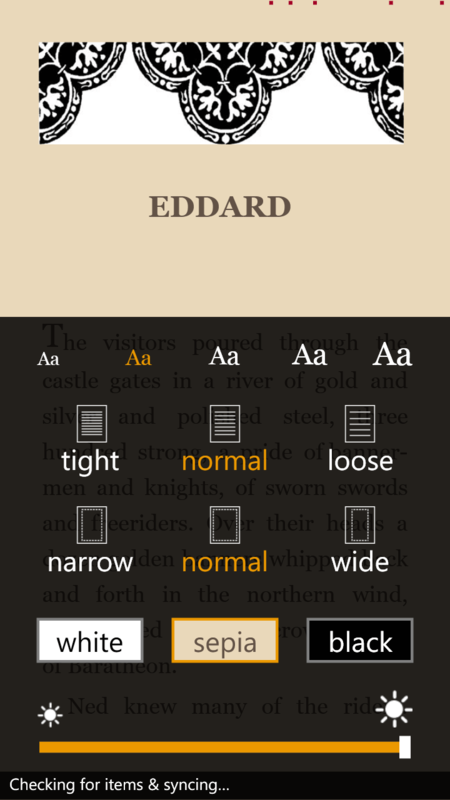 Tapping the right side of the screen will advance the page while tapping the left will go back a page. While viewing a page in a book you can adjust the text size for easier reading, the background to either white, black or sepia and can adjust the text justification on the page. All of these settings are designed to make it easier for you to read in the Kindle app and none of them are unique to the app – but they work and work well. telling you how far along you have read in the book. frustration. Let’s start with the Kindle store in the app. Essentially it is a web wrapper for the mobile Kindle website. It works, but navigation is tricky and you can find yourself unable to navigate your way back to the app itself without shutting it down. I had no problem making purchases which is a good thing I suppose and getting books pushed to my Lumia 1320 was no problem either. But the shopping experience is poor when you compare it even to the regular Amazon app. It feels clunky and shoehorned into the app just because it needed to be there. Speaking of the Kindle store, one of the things the iOS and Android versions can do is download magazine and newspaper subscriptions. It in effect becomes your one-stop app for all your books and periodicals. Not on Windows Phone and not on Windows for that matter. It is Kindle books only which is disappointing at the least. 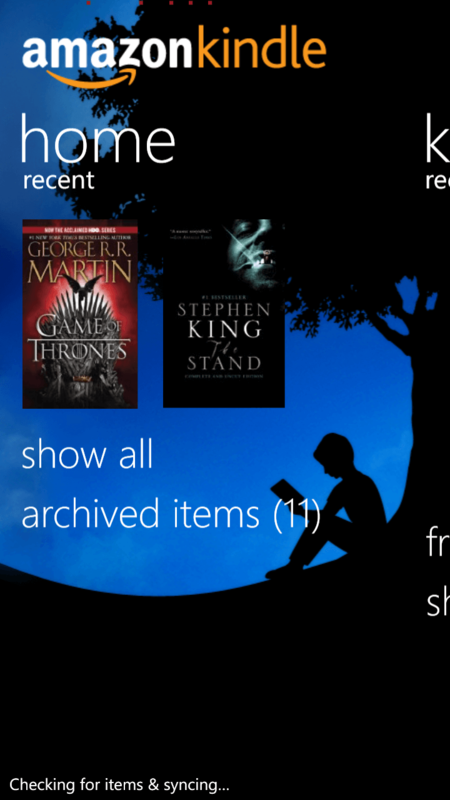 Even with the shortcomings of the app, I do like the Kindle app for Windows Phone. It works and it works well. It just needs to be updated to support periodicals and to bring it on par with its iOS and Android counterparts. It also needs to be updated to have a built-in store function instead of dropping you to Internet Explorer to make purchases. 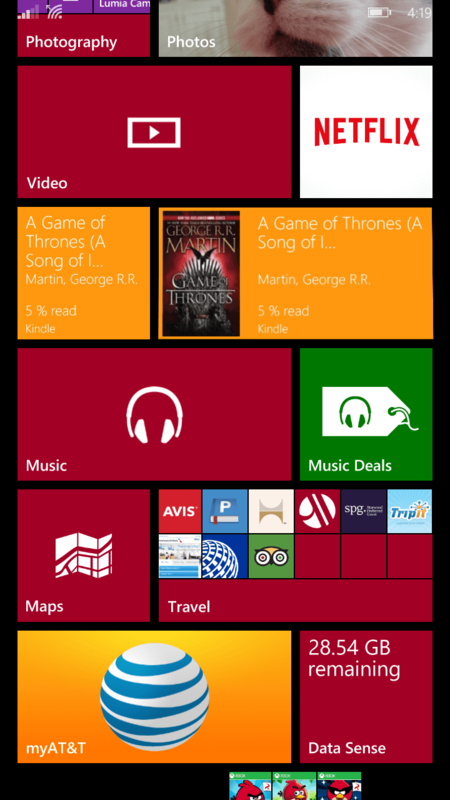 The Kindle app for Windows Phone is free and does require an Amazon app to download books (free or purchase). Kindle app for Windows Phone does not allows reading academic books either which is a big let down when its Android and iOS versions can. I would like to see this gap filled up on their next update. Agreed, nor can you view magazines or new stand items. The app needs a serious update but with Windows 10 on the horizon, I’m not very optimistic.